Premiere: October, 10th 2017. 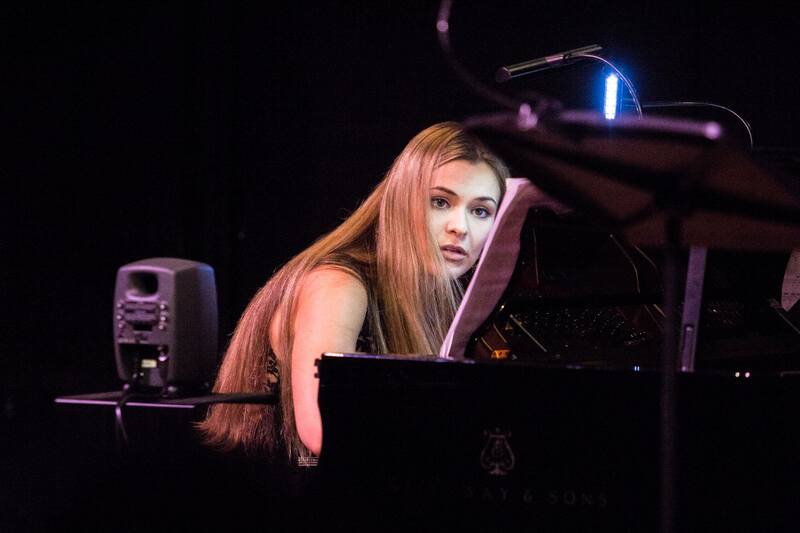 Eesti Muusika-ja Teatriakadeemia, Kammersaal, Tallinn (EE) – the Composition Department, headed by Toivo Tulev, presents “Under the net”, event curated by Paolo Girol. Piano: Anna Wibe, Viola: Katerina Shapochka (remotely, via LoLa connection from the Royal Academy of Music of Aarhus (DK); sound engineers: Klavs Kehlet Hansen and Morten Elkjær). Other perfomances: August, 28th 2018. NewTime Conference. Piano: Kadri-ann Sumera , Viola: Katerina Shapochka (remotely, via LoLa connection from the Eesti Muusika-ja Teatriakadeemia, Organ Hall, Tallinn (EE); sound engineer: Tammo Sumera). Program notes: (ENG) Giovanni Albini’s Duo Op. 51 no. 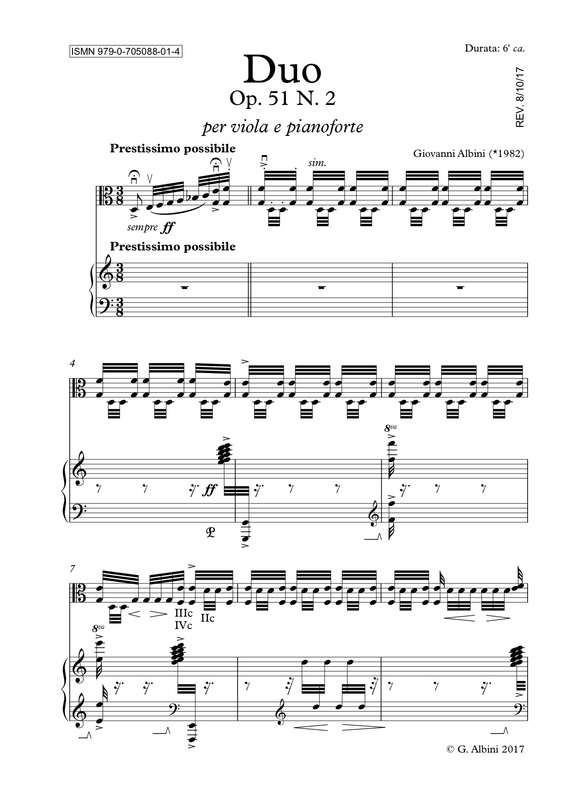 2 for viola and piano displays the distinguishing poetics of the composer: simple traditional musical objects and a meticulous study of the mathematical structures and combinatorial mechanisms they hide, with the aim to unlock hidden features of their expressive potential. The sternness of structural constraints becomes the material in which to look for unexpected shapes of beauty. (EESTI) Duo nr 2 op. 51 toob esile helilooja poeetilise maailma, milles lihtsad ja traditsioonilised muusikalised kujundid saavad täiendust nendes peituvatest võimalusi. Strukturaalne rangus muutub materjaliks, millest võib leida ootamatult kauneid kujundeid. Track and picture info: Live recording of the premiere in Tallinn/Aarhus. Photo by Liis Reiman.